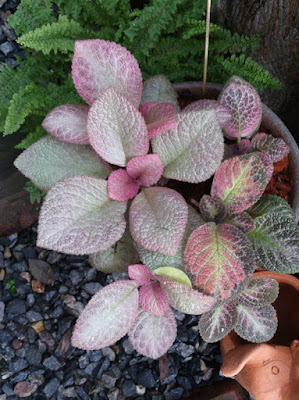 Cool color for the hot summer. 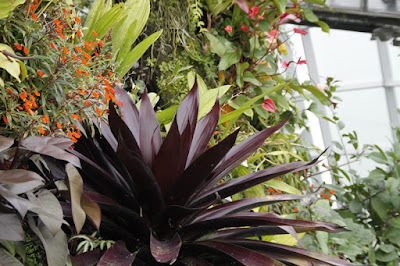 Gardens by the Bay, a decent stop that you can see the collections of Gesneriads in one place. 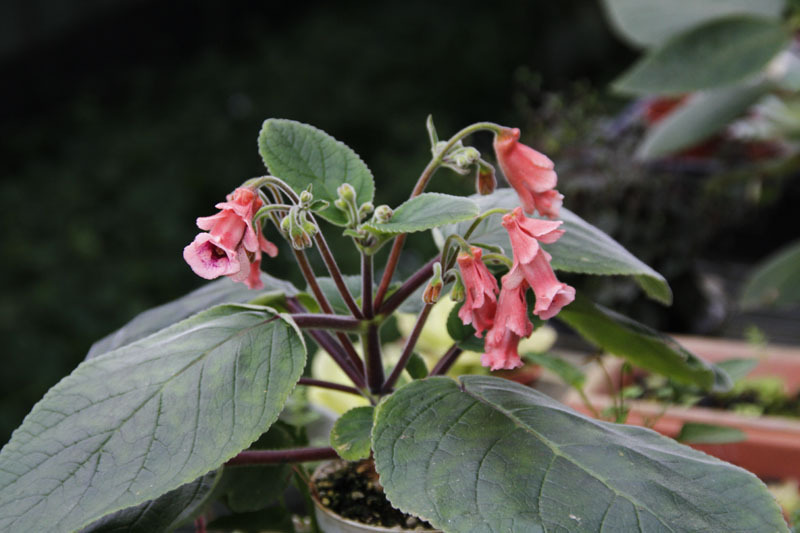 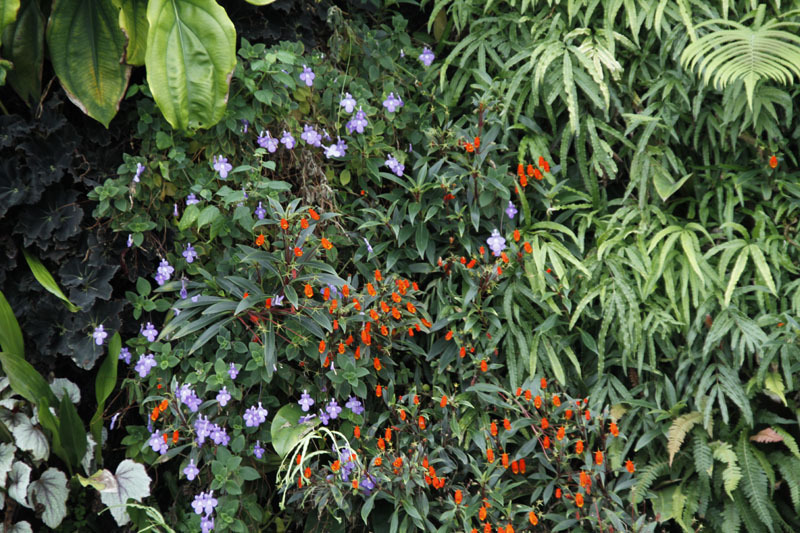 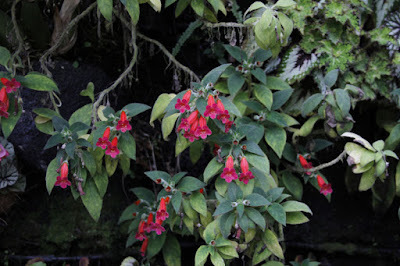 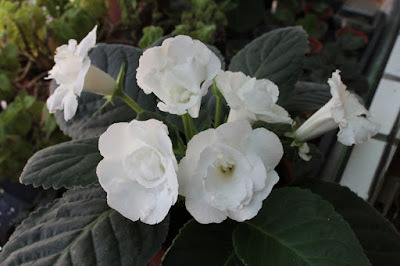 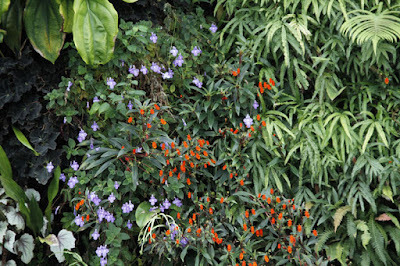 You can find many Gesneriads in the cool dome and enjoy the cool breeze plus waterfall inside the flower dome at the same time. 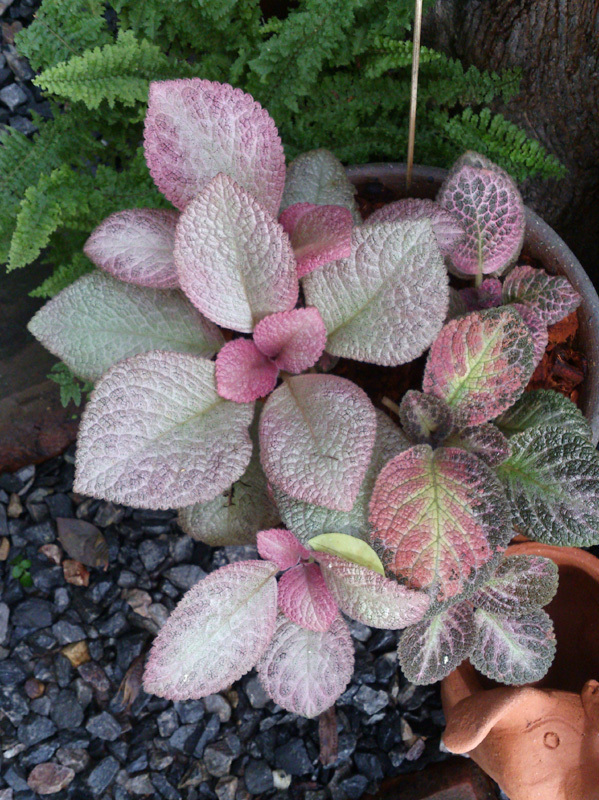 A Taiwanese hybrid. 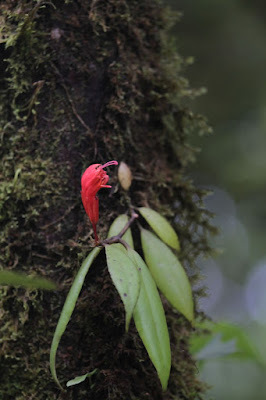 Usually people are looking for big flower, but this one goes to the other end. With the heritage of Dircaea clade, this calyx double Sinningia shows an odd but interesting looks. 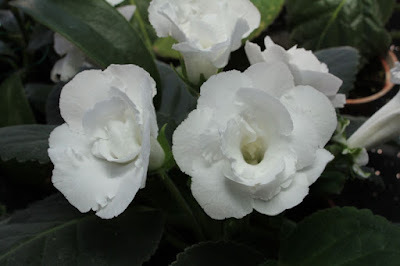 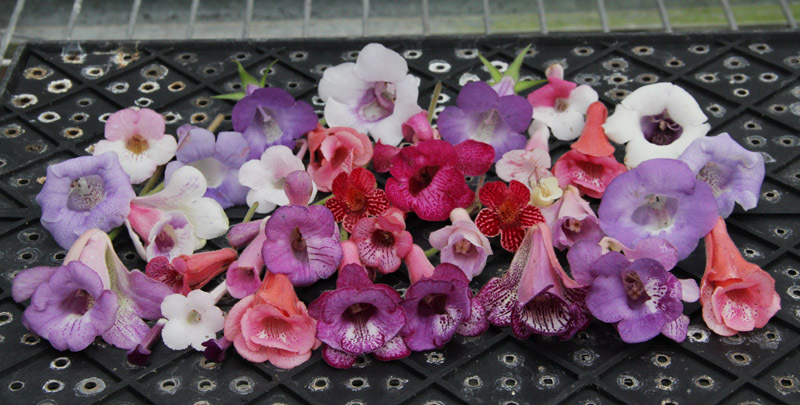 It is an interesting species that includes many varieties. 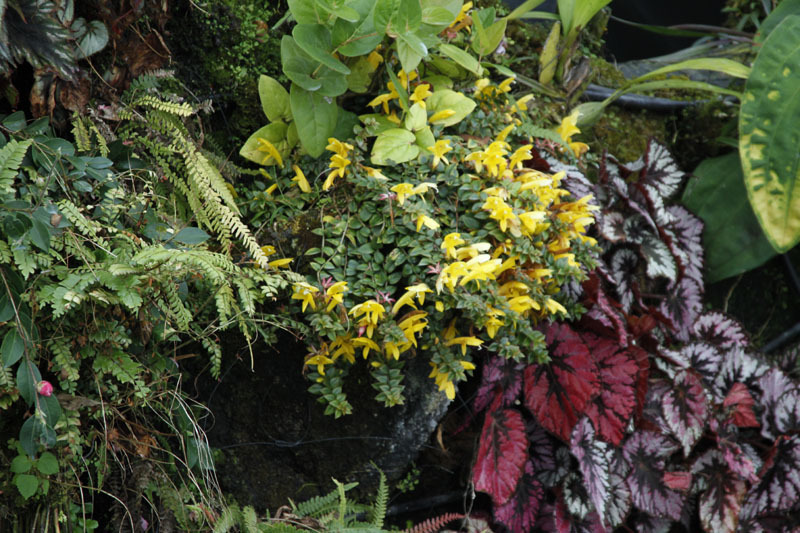 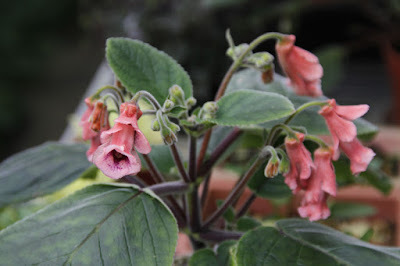 Not very common in cultivation as other Sinningia but both plant and flower stand out with its unique appearance. 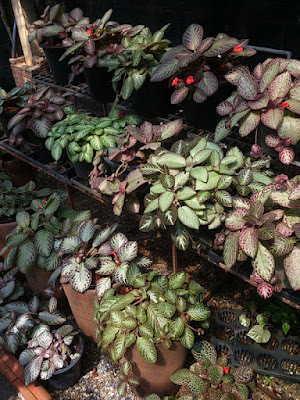 To my surprise, there are more varieties of Episcia than I can find in Chiang Mai ... even prettier from my point of view. 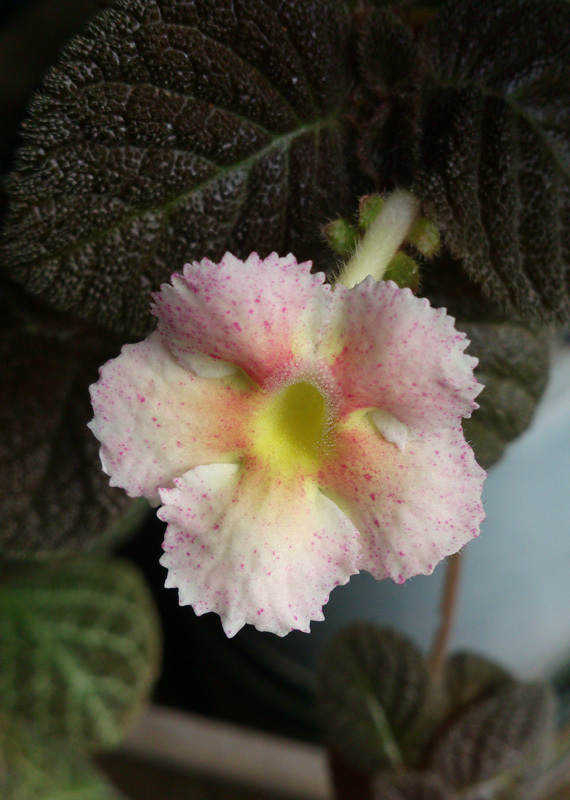 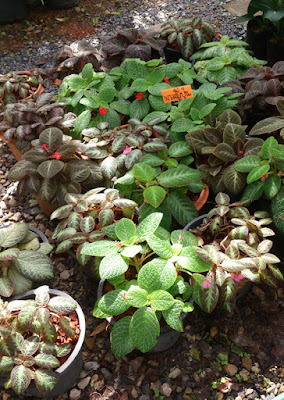 Some Episcia of Thailand look different from those named varieties that are available from online shops or famous hybridizers. 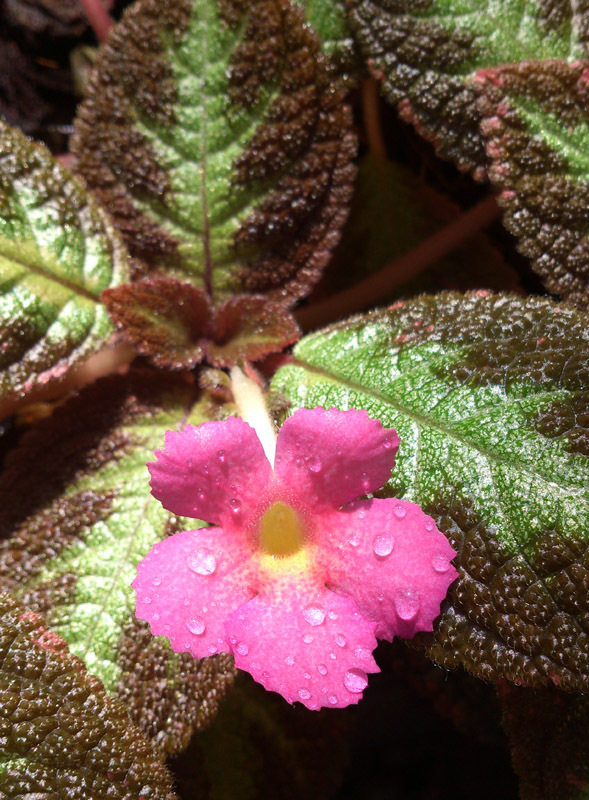 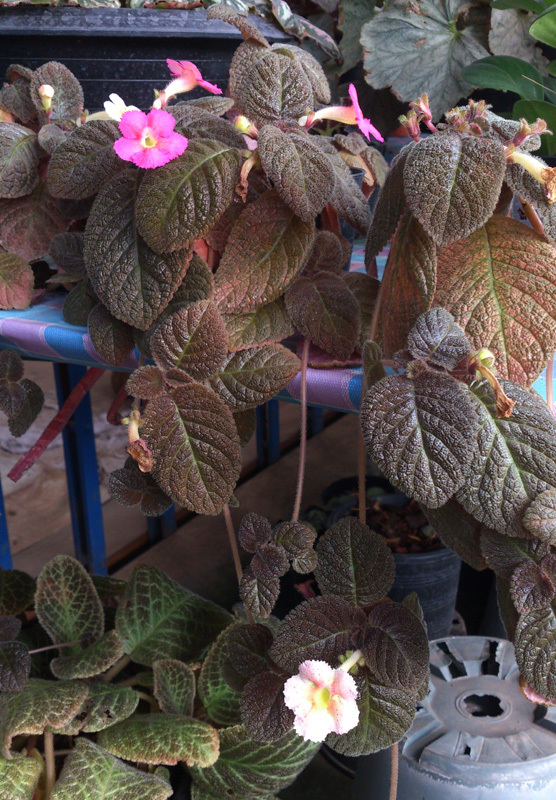 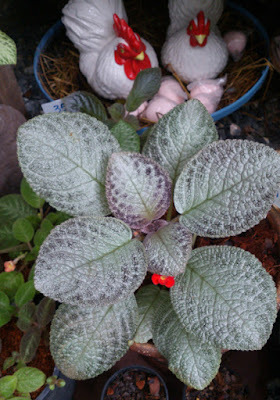 The natural weather is usually hot in Thailand, the Episcia grow all year around without dormancy. 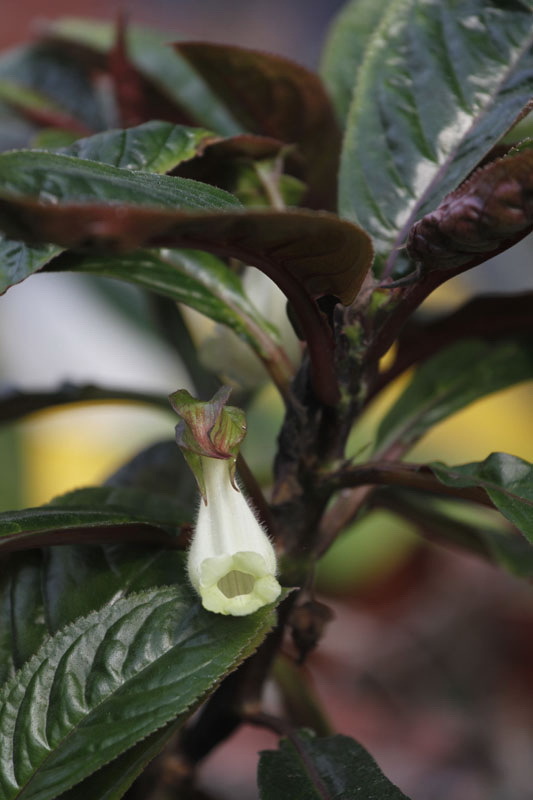 I think Episcia is the most commonly seen gesneriad plant in Thailand. Let's check out the Episcia in Phitsanulok. Last time I was here without seeing any color due to it's dry season, this time I see the cloudy forest is decorated with lovely red flowers which seems floating through the cool breeze and moss. 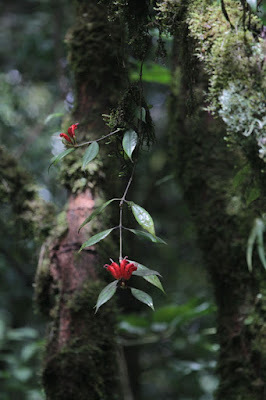 It's my second time to Doi Inthanon and I was there for a full day to visit the national park. 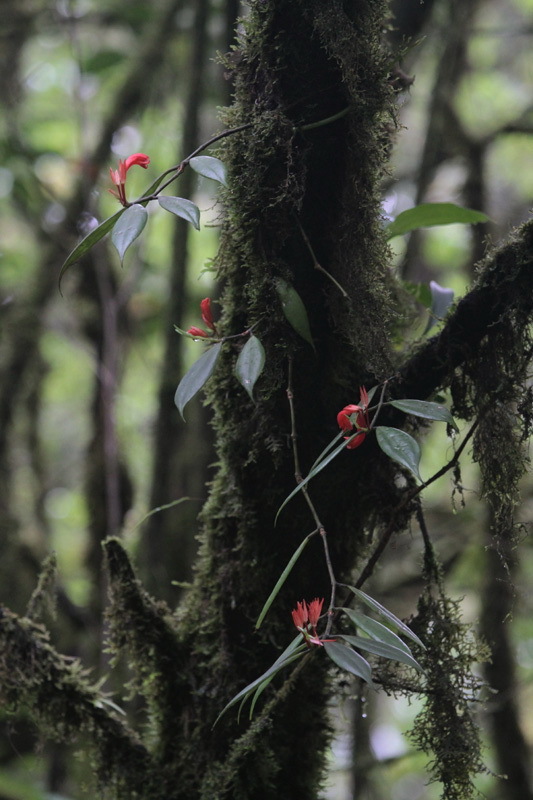 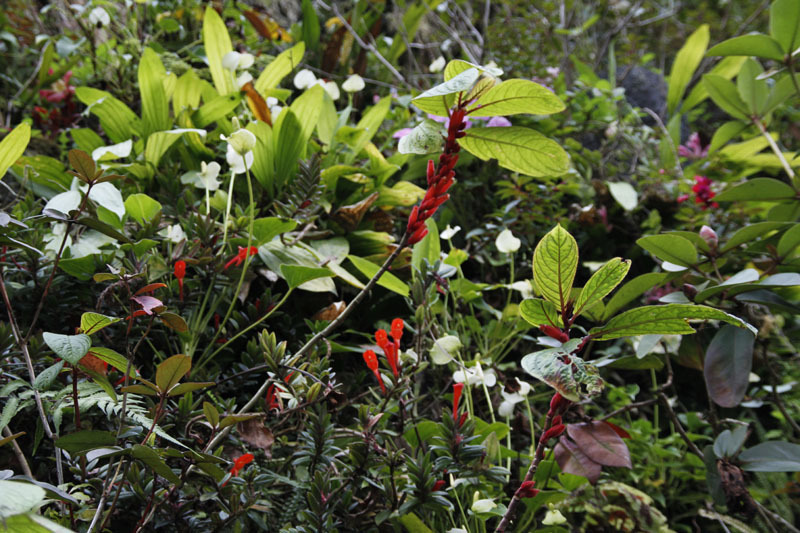 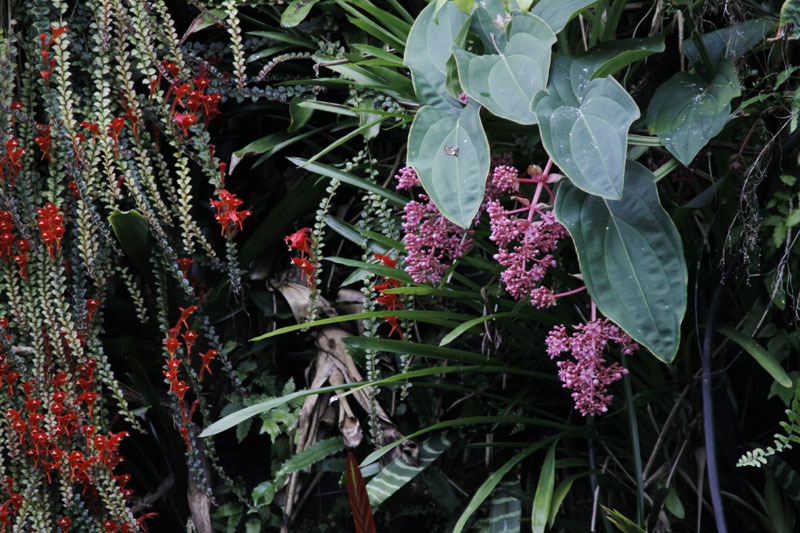 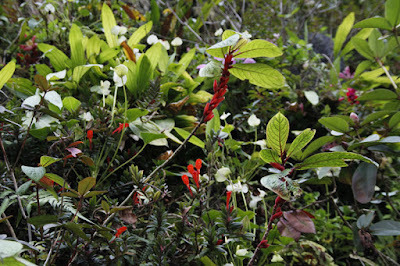 The habitat of Aeschynanthus lineatus is 1800 meters above sea level. 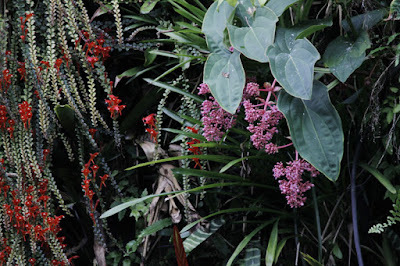 It's cool , not cold in summer ... good place to cool down the spirit by listening the bird's singing after shower.